A selection of nametags in either silver or gold, smooth or rigid edges. Badge Attachment is magnetic so it will not damage your clothing. Gold Metal Nametag 1 3/4" x 2 1/2" Oval shape. 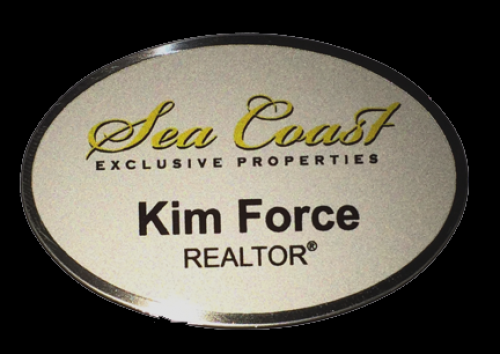 Full Color Sea Coast Logo imprinted with your name and title. Badge Attachment is magnetic so it will not damage your clothing. 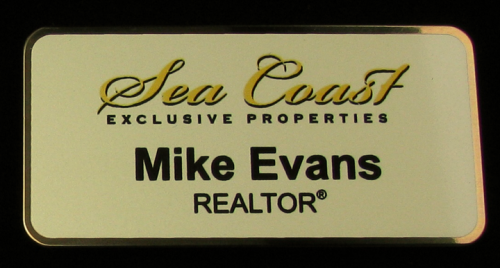 Gold Metal Nametag 1 1/2" x 3" with rounded corners. 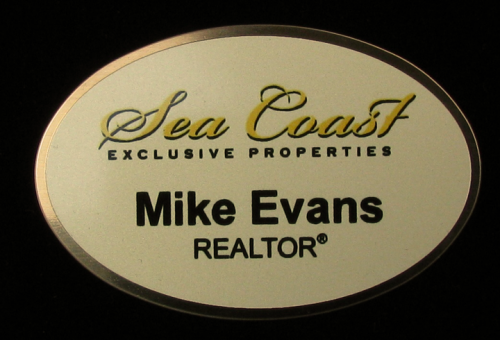 Full Color Sea Coast Logo imprinted with your name and title. Badge Attachment is magnetic so it will not damage your clothing.